Nowadays everyone works on laptops and desktops. Whether you are a professional or a student you have to perform different tasks on your laptop and the data you store on the hard drive is of extreme importance to you. But, what if, you lose that data by accidentally formatting hard-drive and you didn’t even have a backup. All the important will be lost and your hard work will be in vain. We will show you how to unformat hard drives in this article. 1. 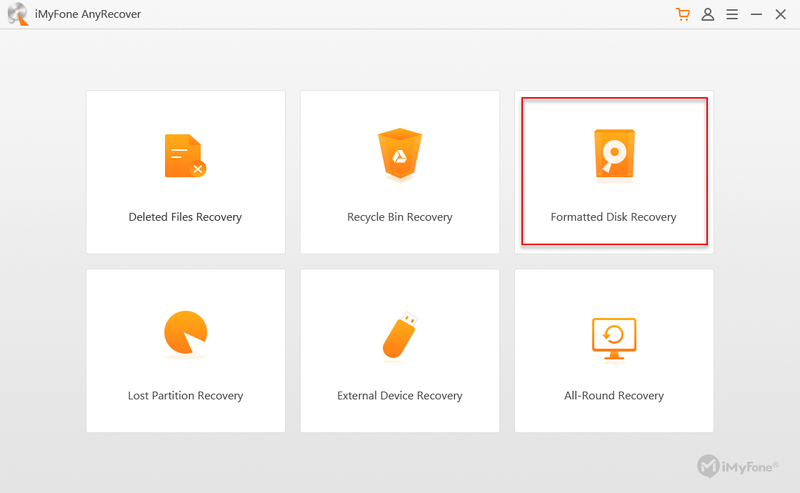 Why Can We Recover Formatted Hard Drives? 2. How to Recover Data on Formatted Hard Drive with AnyRecover? Why Can We Recover Formatted Hard Drives? Formatting is the process of deleting data from a hard drive, external hard drive or flash drives. You may decide to format your hard drive because your PC is old and you want to sell it and you don’t want the buyer to access the data on the hard drive. You can also decide to format the hard drive to adjust the size of the partition. Recovering data after a format is possible, but for that, you need to shut down your computer immediately because if the operating system is running the formatted hard drive will be overwritten and data recovery will not be possible. To unformat hard drives, you need a data recovery software. Data recovery tools can recover lost, deleted, formatted, and corrupted data. You simply have to start the software and enter files you want to recover; data recovery software will do the rest of the job. Many data recovery software are available and you need to choose the best one which is efficient and lets you recover data easily. How to Recover Data on Formatted Hard Drive with AnyRecover? Recovering data from a formatted hard drive is not easy and you need a suitable tool to perform this operation. One such tool is AnyRecover. AnyRecover is a data recovery software and the best in the market. It offers features like photo recovery, hard drive recovery, and document recovery. It is clean and virus-free software. It will not harm your computer. It supports Windows and MAC and recovers unlimited data. If you have lost your data due to a virus attack, unexpected shutdown, or a hard drive crash you can use AnyRecover to restore the lost data. You do not need to be an expert to use this software, as it’s super easy to unformat a hard drive. AnyRecover allows you to recover data of all types like audio, video, document, etc. It supports more than 1000 file formats, so, it doesn’t matter in which format your file is you can recover it. It can recover data from all storage devices, such as hard disks, external drives, USB drives, SD cards etc. It also supports data lost from the virtual disk drives. AnyRecover also offers you to try it for free before purchasing. It helps in restoring lost data quickly and easily. Whether you are an IT expert or you have no knowledge of data recovery software you can easily use it to recover data. 1. First, start AnyRecover software. Then you have to select the “Formatted Disk Recovery” mode. 2. After choosing the mode you have to set the path, from where you want to recover data. In this case, the hard drive which has been formatted should be selected. 3. Choose the file type you want to recover. For example, if you want to recover images click “Photo”. 4. Click on “Scan” and the software will start searching for missing files. The MBR partition is the older method of partitioning. As compared to MBR, GPT can support bigger memory partitions to the size of 2TB, MBR does not have this capability to support such a large volume of partitions. Both GPT and MBR can be dynamic and basic partitioning methods. GPT, however, can support more 128 memory partitions as compared to 4 done by MBR. Lost data can only be recovered if it is present in its original condition. If you overwrite any part of the file you want to recover, it will corrupt the file. If you overwrite the contents, it will delete the data you want to recover. If you will partition your hard drive after a format, you may not be able to recover lost data. You can only restore data if it is present in its original location. Partitioning can change the location of data and you will not be able to recover data properly. Avoid formatting the hard driven again after a format. It will make data recovery more difficult. If you wish to recover data after a format, don’t install any operating system. Because once operating system is installed and running, the formatted hard drive will be overwritten and data recovery will not be possible. If you have lost your data due to the format you need to unformat the hard drive as soon as possible. You should choose only efficient and safe software for it. You must trust only that software which will not change the contents of the hard drive. Some software does not recover data and result in its permanent loss. The best solution for data loss problems is to create a backup. You can do cloning or mirroring of the hard drive. So, when you lose your data you can easily replace the current hard drive with its replica. You can also store important data on external hard drives and flash drives. Data loss is a growing problem in the digital environment. All institutes and organizations are taking measures to prevent data loss and create backups. We suggest you to be careful and avoid unnecessary formatting. Create consistent backups and install anti-virus software on your computer. And, if you lose your data due to accidental or intentional format just use AnyRecover to unformat your hard drive. If you are satisfied with its free trial, we advise you to purchase it as you will be able to recover unlimited files.